Connecting youth to the outdoors one cast at a time! In addition to a fun day on the water, Wish to Fish offers children and families the opportunity to learn about boating skills and safety, encourage parent / child interaction, and more. Learn about fish identification and more with personnel from the LA Dept. of Wildlife & Fisheries and other educational institutions. Spending a day fishing with your child will mean the world to them and create memories to last a lifetime. We love talking to kids about careers in fishing and other outdoor settings. A day on the water can mean the world to a child. 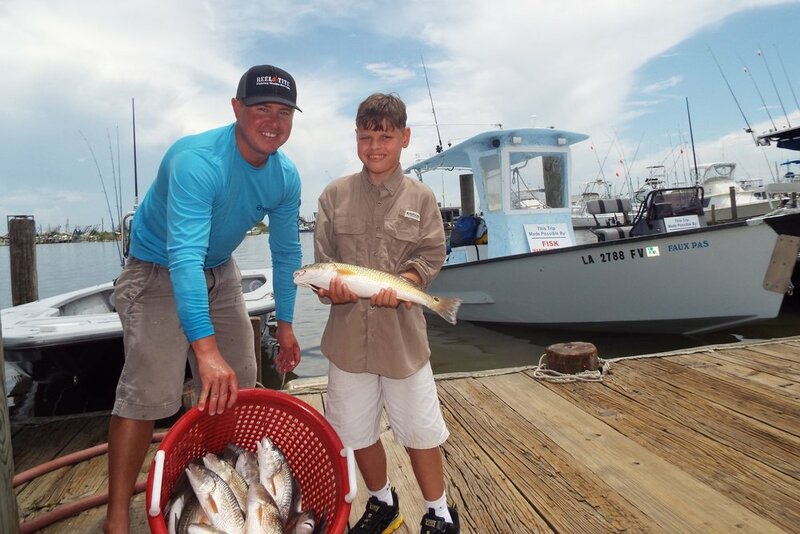 No TV, no distractions-- just quality time with your child catching fish and making memories to last a lifetime! Whether you're looking to sign your child up, donate, or sponsor a trip, we'd love to hear from you! Use the contact form to send us an email, or give us a call at (504) 628-7282.